Let’s Work! is a funny clown show, adressed to young and adult audience, in which in a comic way is shown the difficulties that people find when try to conciliate work and family in our current world. 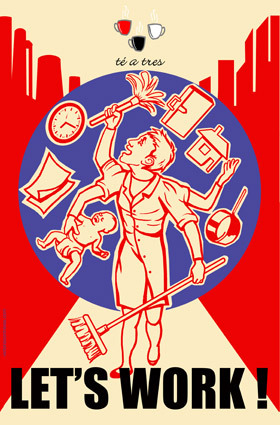 Synopsis: A woman works as a cleaner at the theatre. The audience go into the theatre while the woman is doing her work. 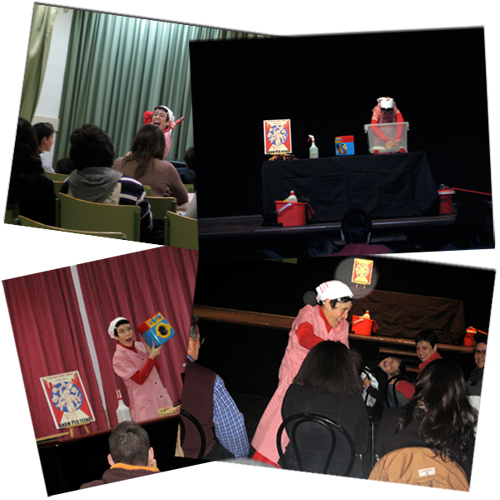 During the first part of the show, she is cleaning the theatre, including the audience, while she performs funny gags about her job. Suddenly, she finds a case, opens it and sees there’s a training course kit about Work and Family Conciliation in it. The woman decides to practice all the exercises of the kit but she has to carry on doing all her cleaning tasks at the same time. This circumstance takes the play to some chaotic situations, filled with funny gags, that shows, in a comical tone, the real troubles that people have when try to conciliate job and family at present time.